I know this is not the most exciting note on which to begin this series, but if you're gearing up for an influx of new makeup, we need to make sure that you are properly set up and that you create space for it. How much space you need to create depends on how much you plan to buy, but in general, you need to prepare yourself. 1. Set up your space. Putting on makeup in the morning is a soothing ritual for me - it's my quiet time, I can relax and check my morning headlines while putting on my face. I actually do my makeup right at my desk, and I have mirrors handy, and I have all my daily-use products laid out in front of me, ready to access. I understand that not everyone has the luxury of time or space, but I do want to encourage you to carve out whatever space you can. Set things up nicely, invitingly. Cramming all your stuff into a single drawer or, even worse, one zip-up makeup pouch is actually kind of demotivating. We've all heard the adage "Out of sight, out of mind," right? Whether you have a little or a lot of makeup, you're a lot less likely to use something if you have to dig around to find your stuff, or if it's so packed away that you even forget it's there. A quick look on Pinterest will reveal a TON of different ideas for makeup storage. Pick something that works for you functionally and stylistically - I know not everyone wants a girly vanity table with powder poufs and pink bows. But having your things laid out nicely, in a way that makes them easily available when you're in a big hurry in the morning, can really expedite your makeup routine. Ditch the makeup bag for at-home storage. Makeup bags are good for portability and protecting your purse/suitcase, but you will want to make sure that powders and liquids don't spill and that brushes are able to breathe/dry out. 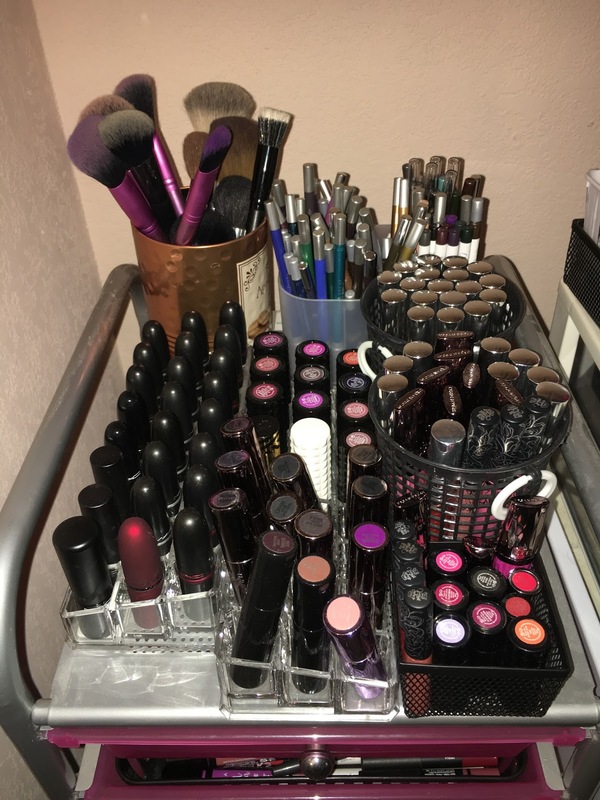 If you don't have enough space on the counter or a shelf (away from the toilet, btw), then a dedicated makeup drawer would be a good idea. So, like, you're not shoving a hot flat iron or bathroom cleaner products in the same space as your makeup. 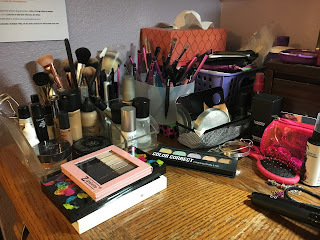 There are lots of different ways you can organize makeup within your drawer (for example, using shallow dishes or trays or baskets or even those kitchen utensil organizer things). Another good idea would be to pick up a makeup case. Remember Caboodles from back in the day? They're not just for teen girls anymore. If you're carrying a makeup bag around with your touch-up products for the day, make sure you unpack them when you get home. I store my brushes vertically in a cup or organizer, unless they are double-ended, and I store those horizontally so that I don't damage the brush ends. Again, brushes need to breathe. Even if you aren't cleaning them after every single use (which you should, but sometimes you just have to wait until later, right? ), any product or skin cells that might be sitting on your bristles should air out and dry out, rather than getting shoved into an enclosed space. 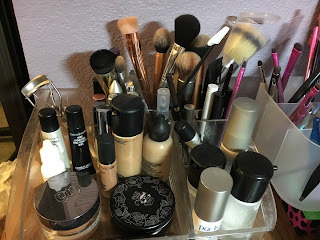 As I said above, I keep my daily-use products in-sight and within reach of where I normally sit to put on makeup: my creams, lotions, foundations, powders, primers; whatever mascara I am currently working on; my most-used eyeliners; and whatever assorted tools I need readily available, in an acrylic organizer. When you're in a big hurry, it saves time to know that the things you need to count on most will be EXACTLY where you expect them to be. 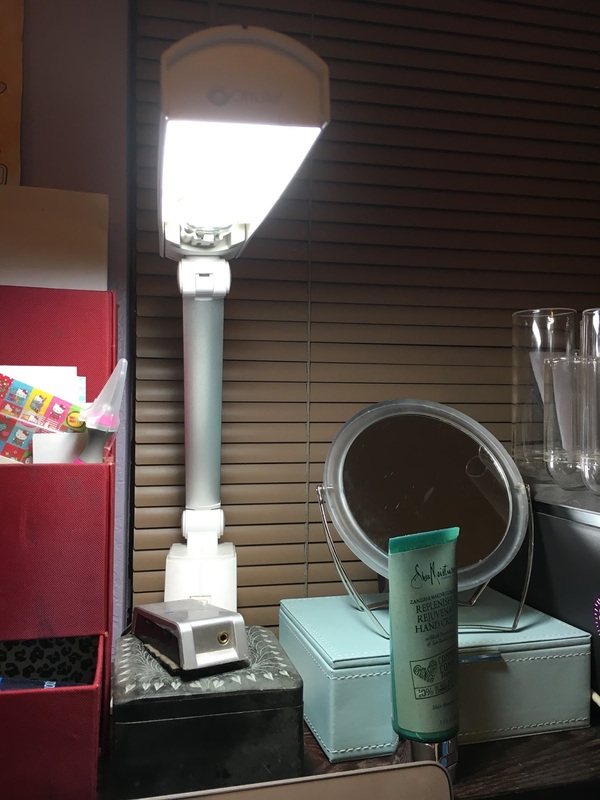 Make sure you have good lighting, or access to good lighting. If your bathroom doesn't have a window, hopefully you can quickly run to one to check your makeup. 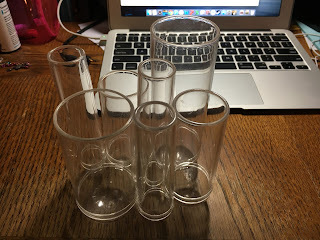 Some sort of makeup organizer, like the acrylic ones I linked to above, or a Caboodles case, or trays/baskets that will sit nicely in your dedicated makeup drawer or on your counter/table top. This one you CAN hold off until you've actually bought your makeup and know how much stuff you need to store, but at some point, organize your stuff! 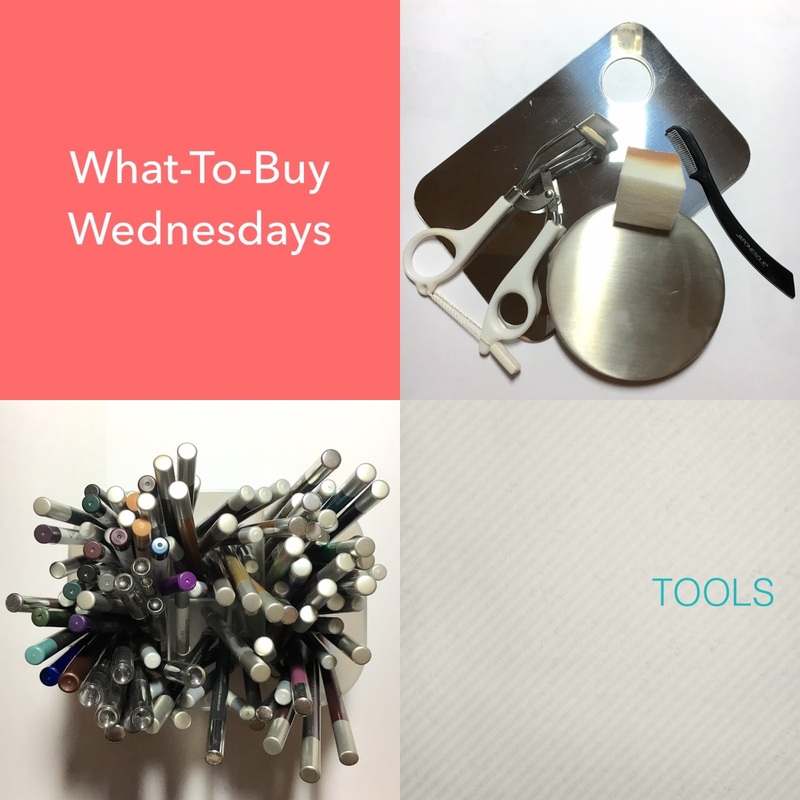 Regardless of your style of makeup, regardless of how "into it" you are, there are some things that all wearers of makeup need to have on hand. 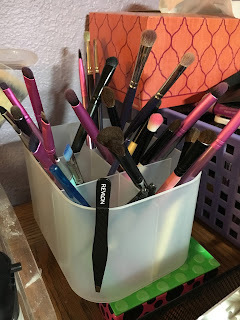 I will go over specific brushes and things in their respective posts for face, eyes, and lips - these are things that everyone should keep at their makeup station. Brush cleaner - There are two types: quick-dry daily cleaners, and deep-cleansing brush shampoos. For my daily cleaner, I like this one from Sephora. If I don't clean my brushes right after I use them, I do it later that day when I get home. For deep cleansing, I like good ol' baby shampoo, and I'll do this on Saturday nights because I'm boring and I never go out. Your mileage may vary, and other people have their own favorites - just make sure you can stand the scent and that it doesn't irritate your skin. 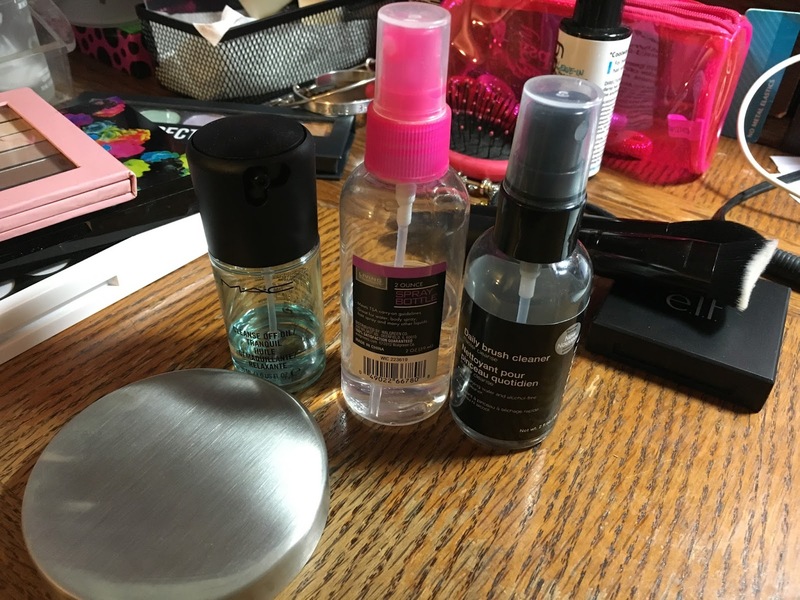 Rubbing alcohol - I have a bottle of 90%-strength, that I pour into one of those tiny travel-size spray bottles, and I use it to sanitize. Sometimes people give me makeup they're not using anymore, or sometimes I let other people borrow my makeup, or sometimes I do other people's makeup for occasions, using my stuff. (Don't worry, I'm very conscientious about what can be sanitized and what can't.) A good spritzing will sanitize your stuff. Also, I will use the alcohol sometimes to repress broken powder products (like eyeshadow). Hand sanitizer - You will either touch your face, or touch your makeup. I keep a small one in my caddy. Makeup remover - This is very specific to you, so what I use (currently, Garnier's Micellar Water and MAC's Cleanse Off Oil for removing liquid lipstick) may not work for you. Whatever kind you choose, make sure your skin is fine with it and that it removes your makeup without the need to scrub or tug. You want something gentle, something that doesn't rip out your eyelashes when you're trying to remove your mascara. And if you're not using pre-moistened wipes, make sure you have cotton balls or cotton pads on hand. 3. These are not necessary, but they're nice to have. A mixing palette and a spatula - you don't have to buy them together, but you can. I squirt a little foundation and concealer onto my palette, and then pick up product with my brush before applying. I used to squirt them on the back of my hand, but my skin would absorb the product (and the backs of my hands would look pretty flawless until I washed them). The less makeup touches my skin (before the actual application), the better. The spatula is good for mixing products, scooping out products from small bottles, etc. Some sort of alternate lighting - some overhead lights are quite yellow, and sometimes I don't have any natural daylight to work with. I would like to get a lighted mirror at some point, but for now, I have an OttLite that works well enough - you can find these at Michaels and JoAnn's, and they constantly have 40% off coupons for full-price items. Hopefully you already have a lot of these items in your home, which will make things easier. Again, I can't emphasize enough how important it is to carve out a little space for yourself, where you're physically and emotionally comfortable enough to play and experiment with your makeup. If you're already feeling apprehensive about trying on a bright red lipstick, it's that much more uncomfortable to be trying it on in a place where people are always walking by, or where there's a lot of clutter in your way. Remember, makeup isn't just about looking pretty - it's about finding small ways here and there to boost your confidence and lift your mood. And that starts with your makeup station - a lady's dressing room is an important thing, and regardless of whether or not you actually call yourself a lady, you deserve a space that is just for you, where you can relax and enjoy the process of getting ready for whatever the world throws at you, of putting on your warpaint, as it were. Now I want a mixing palette. I've been doing my makeup in the bathroom, but the lights are right above my head, so I have to hold my head at weird angles to see what I'm doing. I have been thinking about moving it to my desk, but it's in the living room, so attractive and tidy storage is a must if I do. I am the same way in the morning. Doing my makeup, I get in my zone and don't even notice time passing by. It's something fun I begin my days with. I'm always working on better organization. My dresser (where I do makeup) has a great mirror but it also has odd little drawers under the mirror, that eat into the counter space. I really like the idea of having things out like that too, so I can see what's there. But then I have to dust everything. Can't have it all, but I really want to at least find cups to store my lipsticks upside down. I need to make it easier to pick out KVD shades when they're all in the same black packaging. The lipstick caddies in one of my pics above (from The Container Store) fit my KVD lipsticks just perfectly! I would love to find one that can store my MAC ones upside down, so I can at least see the names.